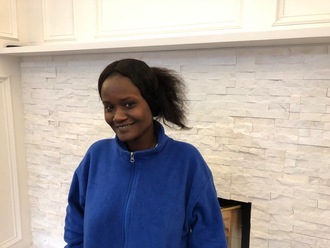 Marlina joined Watsi on December 30th, 2016. Five months ago, Marlina became the 4483rd member to automatically support a new Watsi patient every month. Since then, 614 more people have become monthly donors! 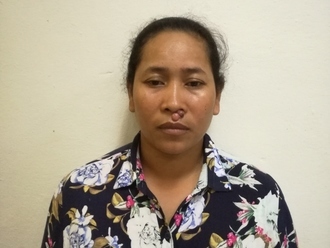 Marlina's most recent donation supported Polen, a woman from Cambodia, to fund repair surgery. Marlina has funded healthcare for 8 patients in 5 countries. 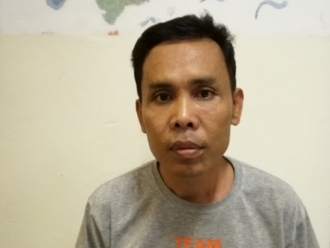 Huon is a man from Cambodia. When Huon was 22 years old, he noticed hip pain that caused him distress and pain. He was first seen by a Thai hospital that recommended a hip replacement, but he could not afford it. Huon is unable to walk without crutches, finds it difficult to care for his daughter and wife, and cannot work at the farm. Fortunately, he is now scheduled to undergo an arthroplasty to treat his osteonecrosis on February 11. The procedure will cost $497. After surgery, he hopes that he will be able to walk like normal and will no longer have any pain. He says, "I hope that after surgery I won't have any more pain and can walk and work with no problems." Rene is a young student from Kenya. She is in the second grade. She is also the only child to her single mother. Renee likes reading books. Rene has clubfoot of her left foot. Clubfoot is a condition in which the foot is twisted out of shape. This causes difficulty walking and even wearing shoes. Fortunately, Rene traveled to visit our medical partner's care center, AIC Cure International Hospital. There, surgeons will perform clubfoot repair surgery on January 23. Our medical partner, African Mission Healthcare Foundation, is requesting $1,224 to fund Rene's clubfoot repair. After treatment, she will be able to walk easily. “I am kindly requesting for support so that she can be able to walk completely well without any support. God bless you," Renee’s mother says. 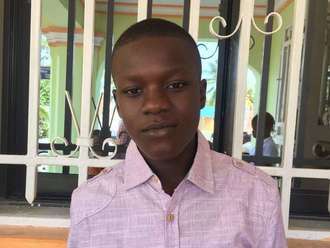 Carlos is a 14-year old student who lives in an orphanage on the southern coast of Haiti. Carlos is currently in the eighth grade and would like to become a doctor or an engineer when he grows up. Carlos suffers from mitral and aortic regurgitation, both of which resulted from the rheumatic fever that he contracted several years ago. Due to his conditions, blood backs up into his heart and does not properly circulate throughout his body, leaving Carlos weak, short of breath, and at risk of heart failure. Our medical partner, Haiti Cardiac Alliance, is requesting $1,343 to cover the cost of Carlos's air transportation to the Cayman Islands, where he is scheduled to undergo heart surgery on July 5. Once there, he will receive the care that he needs and will hopefully be able to live more comfortably. Carlos says, "I am very happy that I can have this chance to heal my heart, and would like to say thank you to everyone." Emeline is an eight-year-old girl who lives in a small town in southwestern Haiti with her parents and brothers. Both of her parents work in agriculture. Emeline is an outgoing child who makes friends easily and likes playing games and listening to music. Emeline was born with a cardiac condition known as ventricular septal defect, in which a hole exists between the two lower chambers of her heart. This causes oxygen-poor blood to circulate throughout her body, leaving Emeline feeling weak. 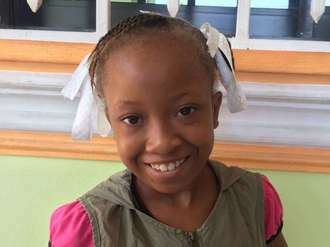 Our medical partner, Haiti Cardiac Alliance, is requesting $1,343 to cover the cost of Emeline's air transportation to the Cayman Islands, where she is scheduled to undergo heart surgery on July 5. Once there, she will receive the care that she needs and will hopefully be able to live more comfortably. Emeline's mother says, "My family is all very happy to know that there is a chance for Emeline's heart to be healed." Aye is a 50-year-old woman from Burma. She lives with her husband and two sons, one of whom attends a local school. Aye and her other son work as agricultural day laborers, cultivating rice and corn. Early this year, Aye began to experience uncomfortable symptoms in a sensitive area. She was referred to our medical partner’s hospital for investigation. Her blood levels were low, so she received a blood transfusion. An ultrasound revealed endometrial hyperplasia, an abnormal uterine condition. On November 28, Aye underwent a total hysterectomy. Aye’s condition has prevented her from working. Her family cannot afford this $1,500 procedure, and they need our help. “I want to get back to work and help my son,” says Aye.